Back in the day, I wrote about Blow Ltd. when it opened its first shop over in Covent Garden. This was an outfit that could do hair, nails and makeup for you in a jiffy and send you on your merry way into the London night looking like you've walked straight off a Vogue shoot. No, really, it was a miracle. I used them for forever and a day. Then life got crazy and I couldn't make it into Covent Garden as often as I would have liked. 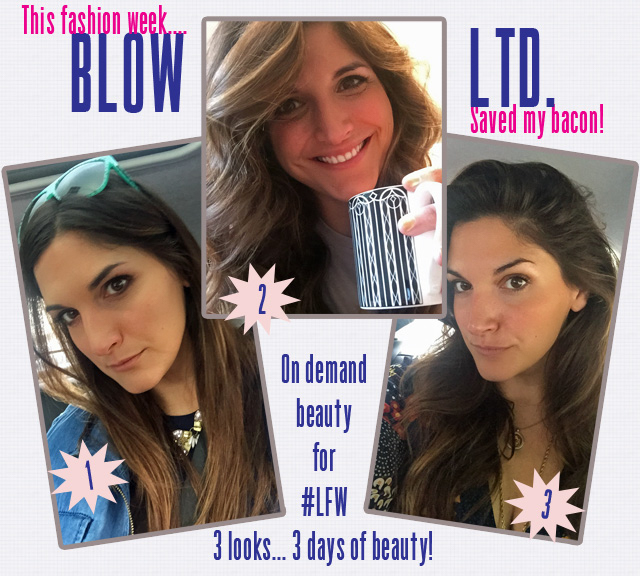 As if I was sending a message to the universe about what I really required, Blow Ltd. launched an on demand at home beauty service. Rather than you having to go into Blow, Blow Ltd. was coming to you. Absolutely brilliant, right? I hadn't had a chance to use the new offering and had kept promising myself I would book in for the service. Then fashion week came around. You may have seen that I was busy filming every day of fashion week. It was all a bit insane and the days were long. When it comes to makeup for film, let's just say I've been a bit spoiled in the past and haven't had to learn much in the ways of preparing my face for the small screen. So I found myself a bit stuck. Not only did I have zero time to both work on day-to-day FFG stuff and get ready for filming, but I was also pretty exhausted by the weight of it all. So, I decided there would never be a better time to ask for help. I downloaded the Blow Ltd. app and set myself three days of in-home assistance for the big days of filming. Now, onto that discount I was talking about. I had a word with the powers that be and told them I'd love to get FFG readers involved. I wanted you guys to try this whole thing out, whether it be for a day that you just need a bit of a beauty pick-me-up or for a special occasion. So all you have to do is download the Blow Ltd. app and input the code "FFG" to receive £15 off your first booking. This is limited to the first 50 to use it... so get in there quick! Just think of this as uber for beauty. 1. Over 20,000 people have used this service and have given feedback that more or less rates these guys as the best of the best. 2. The hours that Blow Ltd. operate are extensive, so if you need early morning beauty or after work touch ups, they're on call for you. 3. You can do group bookings! This is great for stuff like weddings, girls' night out or just a much needed weekend treat. 4. You can order and have someone to you in just under 45 minutes, so it's not all about prebooking. 5. 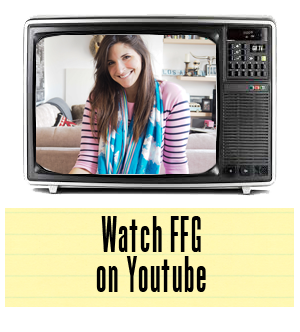 Generally you will feel like a movie star (for next to nothing once you use the FFG code at booking).